Ensure the USB modem (with the SIM card) is inserted. 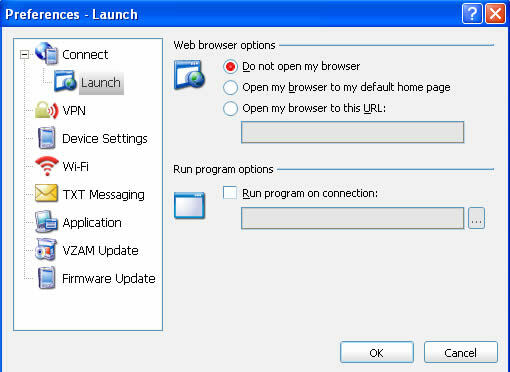 Upon connection the default browser do not launch (default setting). Upon connection the default browser launch to home page. Upon connection the default browser launch to the specified URL.